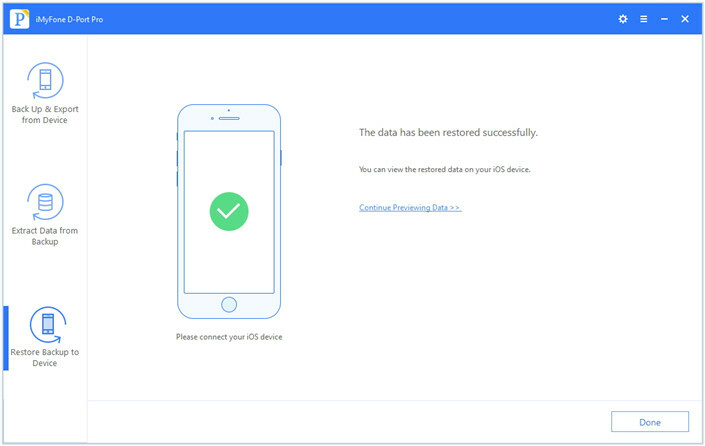 When you get your shiny and new iPhone 8 that is expected to be released this year in September, you will need to move all the data on your old iPhone to its new home. One of our favorite things about getting a new iPhone is that it's really easy to set it up to be exactly the same as our old iPhone. Smart users usually back up data from iPhone to iCloud or iTunes. Periodically backing up data to iCloud or iTunes can be said to buy an insurance policy for the data, and when you get new iPhone 8, you can transfer data from iCloud or iTunes Backup Files to the phone. So here, we have compiled this guide to make it easy for you to transfer data from Old iTunes/iCloud backup to iPhone 8. Of course, the first thing you need to do is to confirm that you have iTunes or iCloud backup of your old iPhone. And then you can start the process referring to the guide. As the best-selling smartphone since its release, iPhone has been the choice for a large group of users. Although it was designed with great quality and convenience, there are cases, which you had to handle the problem yourself, like restoring your iTunes backup to your new iPhone 8. Follow these steps to choose a backup and synchronize the data to your iPhone 8. (1) Turn on your iPhone 8 and follow the steps until you see the Apps & Data screen. (2) Tap Restore from iTunes Backup and then tap next. (3) Connect the iPhone 8 to the computer with a USB cable. (4) Open iTunes and click the iPhone icon, and then choose Restore Backup. (5) Choose the backup you wish to sync and click the Restore button and wait for the process to be finished. Now when the process will complete and all of your data will be transferred to your new iPhone 8. With the advent of cloud storage, Apple activated a file saving and recovery system in iCloud that lets users revert to recent backup files without first connecting to a host computer. To restore iCloud backup to iPhone 8, a viable backup needs to be available in iCloud. 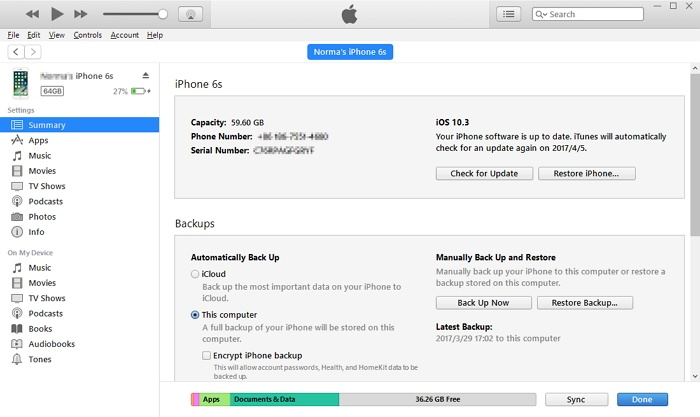 You can begin the process of setting up your new iPhone from an iCloud backup. This is only possible through the iOS Setup Assistant, which is only available during the initial set up. (1) Complete the initial steps in iOS Setup Assistant for language, country and so forth. (2) Make sure to check Restore from iCloud Backup from the setup menu. 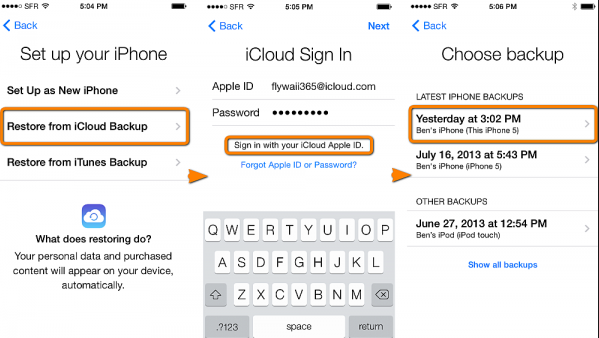 (3) Sign into the same Apple ID that you stored your iCloud backup on. 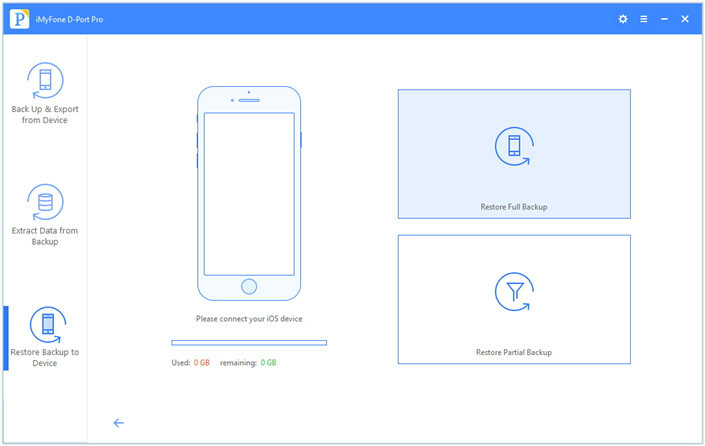 (4) Simply tap on the desired backup from the list to restore your iPhone. (5) The new iPhone 8 will begin restoring all data, such as apps, contacts, music and so forth. This can sometimes be a lengthy process that takes 20 minutes or longer, so you need to make sure your iPhone 8 is always plugged in. If you followed the steps above, you should have successfully transferred your data from the old iTunes or iCloud backup to your new iPhone. However, iTunes or iCloud can’t cover all of the cases as iTunes can only recover the entire backup and iCloud is only capable of recovering limited file types. In one word, the methods provided by Apple are inflexible. And it is the reason that third party app comes into help. Supports to restore all your iTunes and iCloud backup to your iOS devices, including the new iPhone 8 running iOS 11. With iMyFone D-Port Pro, you can back up all your data and settings on iPhone or back up only messages, WhatsApp data or WeChat data securely and reliably. iMyFone D-Port Pro is able to access you data in iTunes/iCloud backup file. This software makes the files readable and you can select the data to be extracted on your computer. Link your device to your computer and launch D-Port Pro. Click “Restore Backup to Device” and you will see all the backups on the computer. If the source was the iTunes backup you just need to select one; if you want to restore an iCloud Backup, you will have to log in to the iCloud account directly from iMyFone D-Port Pro. Then the program will give you two options: “Restore Full Backup” and “Restore Partial Backup”. In this case you need to Choose “Restore Full Backup” and then click “Restore”. Next step is to wait for the application to transfer the data from the iTunes/iCloud backup to your iPhone 8. After that, you can use your iPhone 8 with all the data and settings you need. With the three ways discussed above, you can transfer your data from old iTunes/iCloud backup to your new iPhone 8 and enjoy the excellent device Apple brings to us. And if the article helps, don’t forget to share it to your friends! 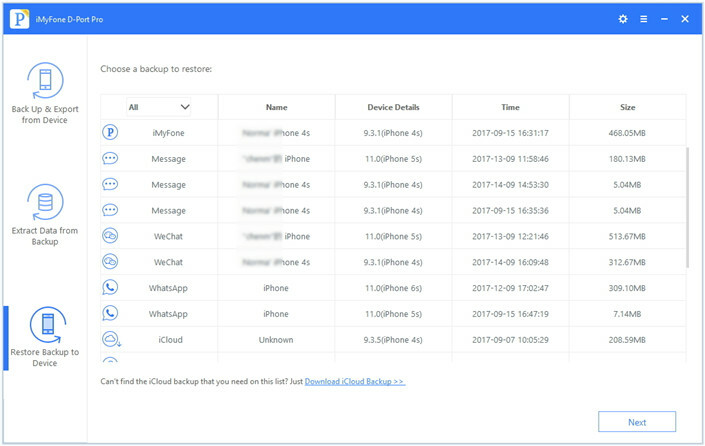 Note: You can use the free trial version of iMyFone D-Port Pro to back up your iPhone 8 and view data in backups for iPhone 8. Just download the free trial and use it!